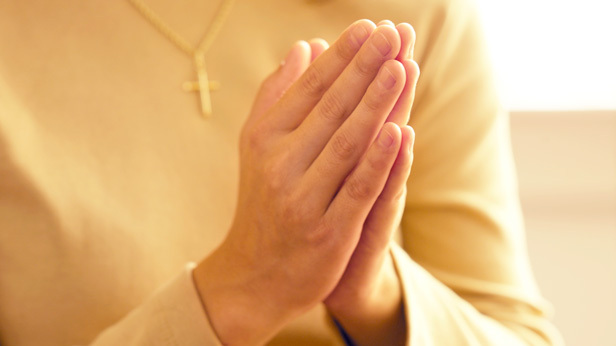 Praying is one of the most ancient of human practices, and to this day, billions of people still believe in its power. Prayer transcends religions, denominations, sects and belief systems of all kinds. It’s used in a multitude of ways: to seek comfort, make a request, ask for guidance, heal and restore, express sorrow, celebrate joy or give thanks. At its most elemental level, with everything else stripped away, praying is simply talking to someone (importantly, someone who’s always happy to listen). A prayer chain kicks it up several levels, because it is a group of individuals who’ve decided to pray together. This theoretically amplifies the power of prayer. Praying as a group also fulfills another of our basic human needs: to connect, both with a power greater than ourselves and with one another. Here are some guidelines that will help you and others in your sphere have an effective prayer chain—one that’s ready to pray for any person or any cause at any time. Decide whom to include in your prayer chain. They should be dependable and willing to join in prayer at a moment’s notice. These individuals can also expand the chain even more with like-minded people they know. Think about including your faith community, family, friends, neighbors and colleagues. You used to be limited to phone calls and word of mouth. Now you can post requests on someone’s CaringBridge site or other social networks, or build an email list that allows you to send prayer requests to everyone with one click. Prayer requests may not always come with an explanation. If you get word that the situation of one of your prayer recipients has changed, communicate it to everyone in your prayer chain so they can adjust their prayers.